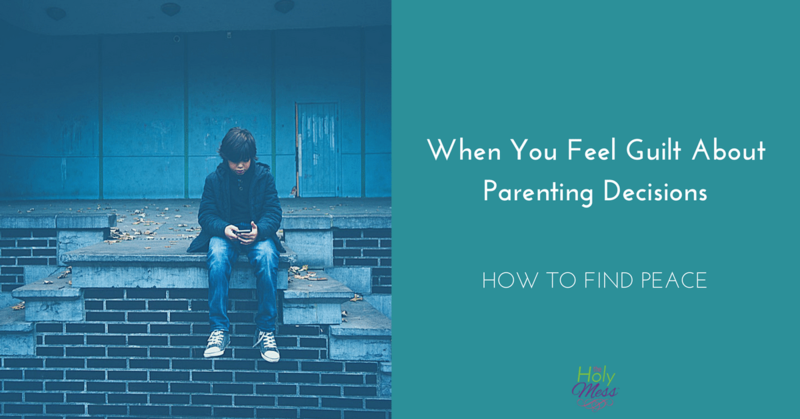 As a parent of a children with behavior or emotional issues, one of the most difficult (and controversial) decisions you face is whether or not your kids take medication for behavior. Should You Give Your Child Medication for Behavior? Like so many parenting decisions, no one solution is right for every child, situation, or family. One decision might work for your child for a certain time in his life, but not be right later. Be willing to change you mind later down the road if needed. The biggest indication your child might need medication for behavior is if he or she is having trouble functioning with daily life activities. Let go of concerns about what other people think. If there’s one thing I’ve learned after parenting for over twenty years to 35+ children, it’s that people who sit in judgement of others often lack an open, compassionate view of the world. Note: This is written as a parent perspective only. Consult with your doctor for specific advice. 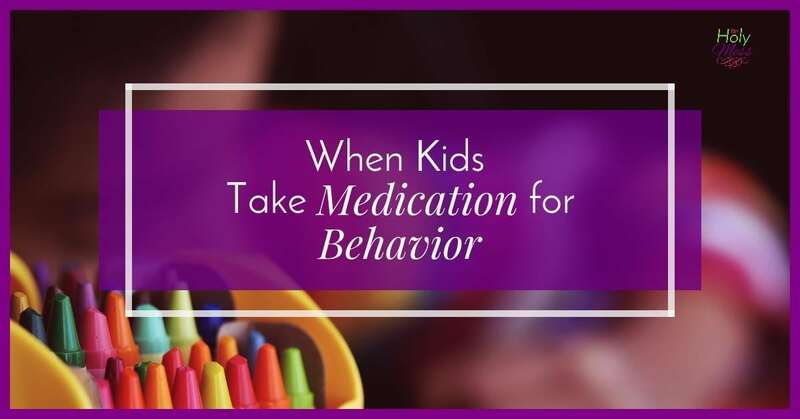 Why Give a Child Medication for Behavior? 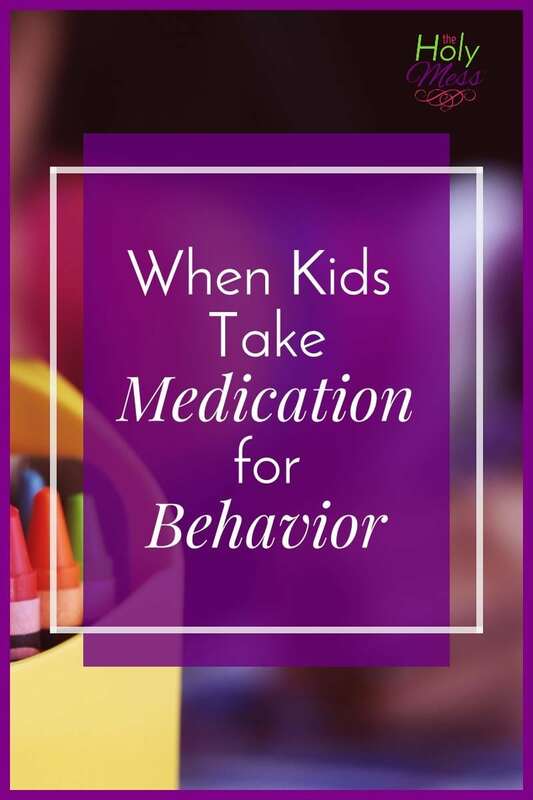 At the risk of stating the obvious, I think it’s a fair question to ask — WHY give a child medication for behavior? After all, it’s not something that was done in the past. Also, it’s important to note that none of these medications have actually been tested on children. The basic answer is that these medications can help children function better and feel better, thus improving their quality of life. In some cases the medications help a little bit and in some cases the medications help a lot. Sometimes a medicine doesn’t help at all or even makes things worse because of side effects, so that is a possible risk. It’s important to note that a doctor will not simply prescribe medication for a child’s behavior, but rather a diagnosis is a made and the medication is to help with symptoms of the diagnosis. Two of the most common diagnosis in children in the United States are ADHD (Attention Deficit Hyperactivity Disorder), and ADD (Attention Deficit Disorder). See links below for signs, symptoms, and common medications given. Other diagnosis that warrant treatment with medication are depression, anxiety disorder, ODD (Oppositional Defiant Disorder) and a number of others. How Do I Know If My Child Needs Medication? Your child might need medication for behavior if she has trouble functioning with daily life activities. So, if he is too active to sit still in class and can’t pay attention, or she is so aggressive that she can’t go on play dates, that might be a reason to talk to your doctor. If you have a child who is so anxious that she doesn’t talk out loud or is scared to leave the house, that would be a reason as well. If you think your child with behavior issues might need medication, the place to start is with your child’s pediatrician. There you will fill out a behavior assessment form, and if your child is in school your child’s teacher or teachers will fill out a form, too. The doctor will compile the results. You do not have to decide to use medication at this point, but the information will be helpful to see how your child is doing. As someone who has been caring for kids using psychiatric medications for a number of years, these are my top tips. Start with diet changes. A natural place to begin this process is with diet changes. Why Can’t My Child Behave? using the Feingold method is probably the most popular strategy. Another is a gluten- and dairy-free diet for children with behavior issues. Yet another is removing food dyes, such as Cure Your Child with Food . 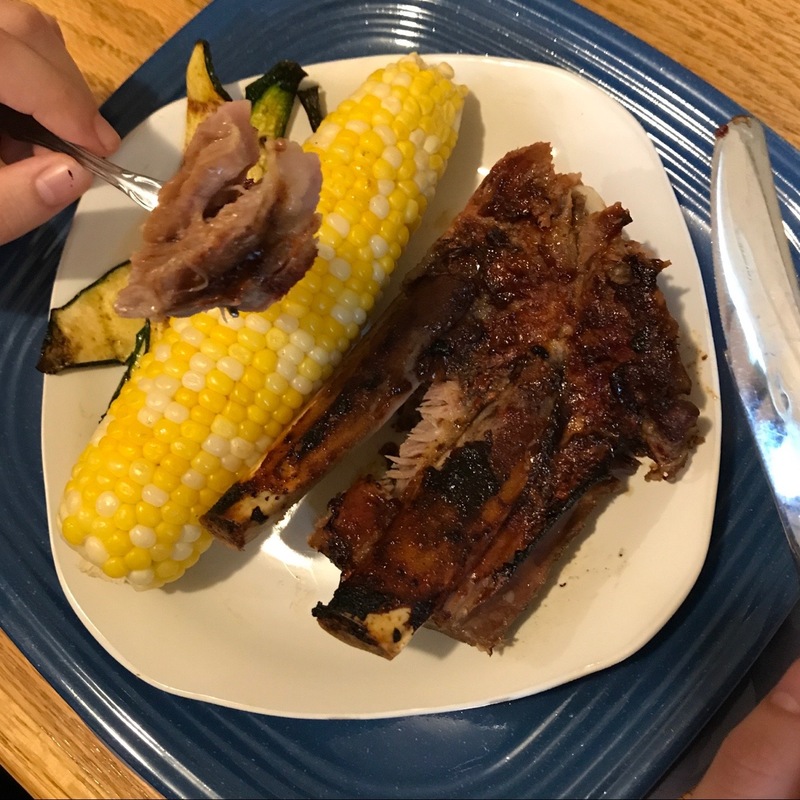 I’ll admit we have tried several times to change our family diet, such as this clean eating Family Eating Plan, but with our son Zack’s strict low-protein eating regimen because of his metabolic condition and my husband’s food allergies, I haven’t had the energy to take on yet another food plan all-out. More exercise. Most kids with behavior issues do better with more exercise. We have found swimming and martial arts to be the best. Less screen time. Cutting back on or eliminating TV, video games, and computer time for children with attention and behavior issues is necessary. I know this is so hard (let’s face it — they are quiet during these times) but who has kids that FREAK OUT when they have to get off? Yeah…See this link for more tips on this. Therapy is a must. Any medication works best in combination with therapy. I know finding the right type of therapy can be a challenge. Don’t give up. There are great therapists that are worth the search. If your child cannot swallow a pill, try putting it in yogurt or applesauce. Many of the medications come in liquid form but taste terrible, so the pill is actually easier. Lock up all medications. This is not optional. Click here to read about options for ways to safely store medication at home. Team together with your child’s teacher. Don’t hide from her that you are giving your child medication and be sure to let her know any changes you are making. Medication with children is a never-done process. I hate to break it to you, but medication with children is a never-finished process, because children grow. Figure it will take time to find a medication that works, adjust the dose, and then be an ongoing process of continual small adjustments. Keep a medication and behavior journal. I know this is a hassle, but it’s a really good idea to keep a log of medications, behaviors, and side effects. This can be a notebook, a Word document, or even a note on your phone or Evernote app. As time goes on, your child might try a variety of medications or be on several at a time. If your child is hospitalized, the doctor will want to know what medications your child has been on in the past. A pediatrician is your place to be if your child is on one or two medications. If your child is on more than that or has a complex medical or emotional history, it may be best to see a child psychiatrist. It might be easier to get appointments with a psychiatric nurse practitioner, and they are well qualified. Medication is one tool in the toolbox. It’s just one of many resources we provide to help a child be successful. When the benefits outweigh the downsides, we won’t withhold it. Finally, consider your emotions. I vividly remember sitting in the pediatrician’s office to discuss starting medication for one of my sons. Just a few years earlier she had taken care of him as my foster baby, and now he was my son that we had adopted. As we discussed his behavior assessment, he was bouncing off the walls of the exam room — literally. Run into the wall. Crash. Zoom into the exam table. Boom! Slam himself running head first into her chair. Bam! We couldn’t get a word in edgewise. Still, he was a fairly young little guy and the thought of starting him on medication was crushing me. About 2 weeks later, we were at home and I knew I had made the right decision when I walked past his room and I saw him sitting in the middle of his bedroom floor playing with legos. Such a simple thing, but I had never seen him do that before. In the past, he ran from activity to activity, never pausing long enough to play. Now, with the medication in place he had the ability to play. God provides healing and restores health in many ways. Write a prayer asking God to heal you or someone you love. 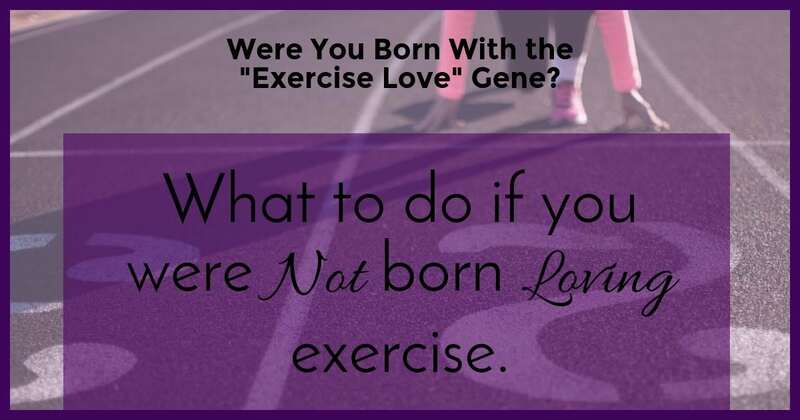 Were You Born With the “Exercise Love” Gene? 13 REASONS WHY: Should Your Teen Watch?